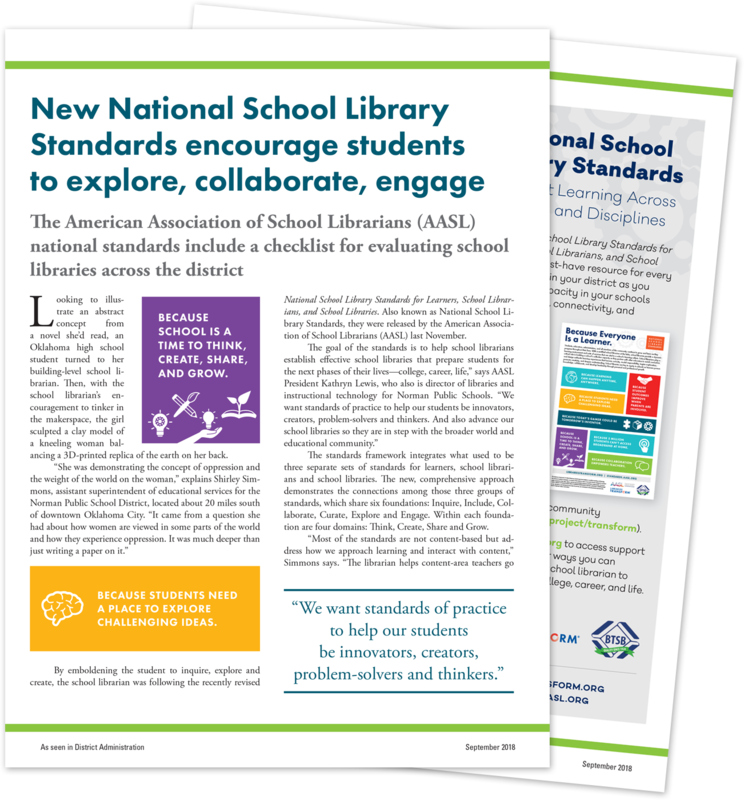 The cornerstone component of AASL’s National School Library Standards is called the Shared Foundations for a reason! Talk with your school librarian about your shared goals and priorities. Find ways you can collaborate to help learners Think, Create, Share, and Grow as they discover ways to harness curiosity, model responsibility, inspire exploration, promote creativity, and deepen understanding. 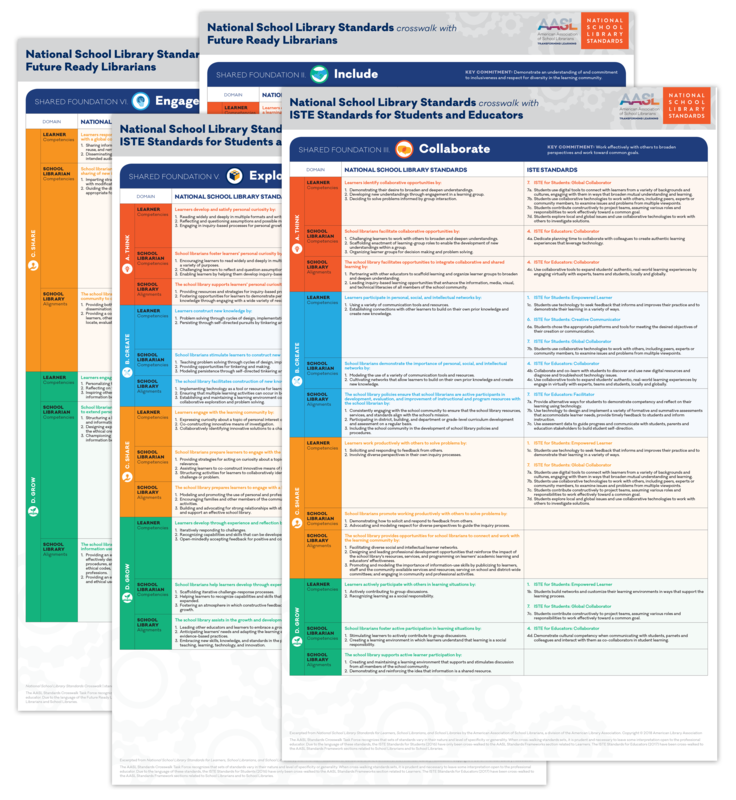 AASL Standards Crosswalks will help all educators in your building see how the National School Library Standards align with other sets of national standards that your school or district has adopted. Connect with your school librarian on the priorities that you share. The September 2018 issue of District Administration magazine features a two-page spread highlighting district-wide applications of the National School Library Standards, including school librarian and school library evaluations and checklists of particular interest to administrators.